Welcome to Brazil, the world’s largest coffee producer. 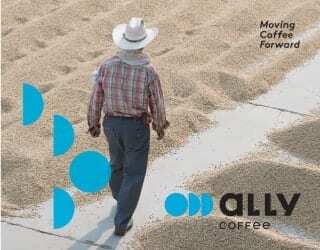 What happens here shapes the coffee industry around the globe. And more. Let’s explore what happened. But what exactly left the attendees and exhibitors so impressed? 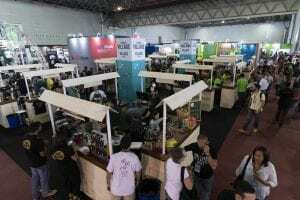 Cuppings were a key part of ICW 2018, showcasing coffees from single estate farms like Daterra in the Cerrado Mineiro region; associations such as IWCA Brazil, the Brazilian branch of the International Women’s Coffee Alliance; coffee groups such as 3Corações; regional flavors, and more (see the full list here). Then you had the many, many coffee cuppings held by producers, cooperatives, and roasters at their own booths. In total, ICW offered visitors more than 200 cupping sessions. Agnieszka Rojewska, 2018 World Barista Champion and winner of multiple other coffee competitions over the years, was at ICW to compete in the World Latte Art Championships. She tells me, “When you are here and you are able to try different types of Brazilian coffees, you can actually change your perspective. She was not the only one to have this experience. 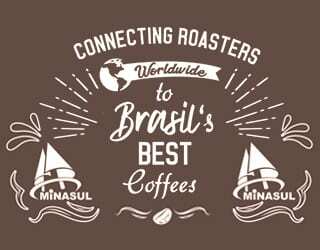 Andre says, “I came here with a mix of expectations because, from a specialty coffee point of view, we look at Brazil as just being the biggest coffee-producing country in the world. We see it more like quantity than quality. 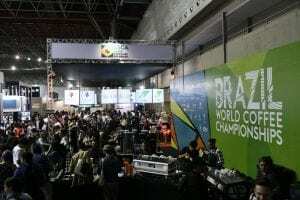 But the event wasn’t just about displaying the best of the coffee industry. It was also about competing for that coveted position. 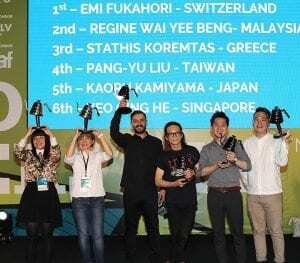 ICW hosted four of the official world championships from World Coffee Events, with representatives from over 60 countries in attendance. Agnieszka tells me, “What is a great opportunity for me is to actually compete in an origin country, which is much more different because here you can actually meet producers. Let’s take a look at the four championships and who walked away with the titles. Across three rounds (preliminary, semi-finals, and finals), competitors demonstrated their mastery with free-pour and designer latte art patterns. And the winners? She adds, “My [competition] coffee is from Brazil. 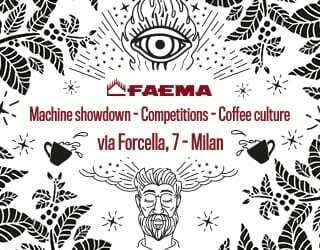 The one I’m competing with is from Daterra, from the Cerrado Region.” In other words, not only did Brazil host the World Barista Championship, but a Brazilian coffee helped Emi to win it. 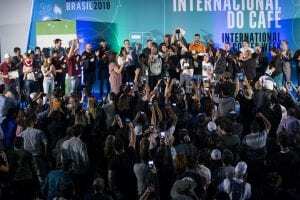 It’s not just baristas and cup tasters who were competing, however: so too were Brazil’s producers. 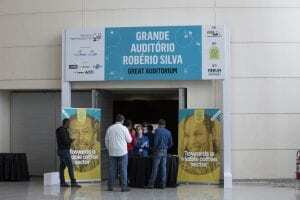 Organized by ICW, this contest was created to recognize the best coffees produced from across Brazil. After a pre-selection process, 150 Arabica samples were evaluated by a team of Q-Graders (certified professionals who grade arabica coffees following SCA Standards), while 30 Robusta samples were evaluated by a team of Q Robusta Graders (certified professionals licenced by The Coffee Quality Institute). Finally, these samples were assessed blind by a popular jury who then voted for their favorite. Afonso Lacerda of Café Forquilha do Rio, Dores do Rio Preto, Caparaó Region, Espírito Santo. This was the second time Lacerda took first place in this contest. Coffees from Caparaó, a mountainous region with dense Atlantic forests, are frequently in the top 10. 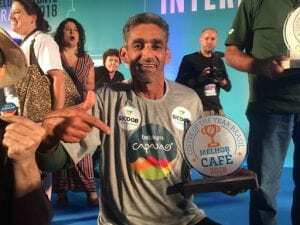 Deneval Vieira of Café Cordilheiras do Caparaó, Iúna, also from Caparaó Region, Espírito Santo. Alessandro Hervaz of Honey Coffee, São Gonçado do Sapucaí, Mantiqueira de Minas Region, Minas Gerais. Luis Eduardo dos Santos of Fazenda Boa Esperança, Bragança Paulista, Média Mogiana Region, São Paulo. Lucas Ribeiro Vinhal of Fazenda Estrela, Serra do Salitre, Cerrado Mineiro Region, Minas Gerais. Luis Claudio de Souza of Grãos de Ouro, Muqui, South of Espírito Santo. Lucas Venturim of Fazenda Venturim, São Domingos do Norte, Noroeste Capixaba Region, Espírito Santo. Francisco Venturim of Fazenda Venturim, São Domingos do Norte, Noroeste Capixaba Region, Espírito Santo. Diones Mendes Bento of Chácara Rio Limão, Cacoal, Rondônia. Isaac Venturim of Fazenda Venturim, São Domingos do Norte, Noroeste Capixaba Region, Espírito Santo. This means the same farm took second, third, and fifth place. 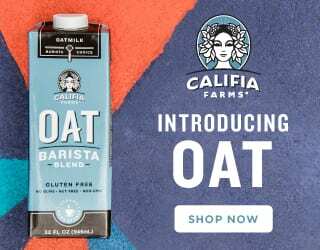 Created by the Brazil Specialty Coffee Association (BSCA), this contest awards sustainably produced coffees in two categories: Natural Processed Coffees and Pulped Naturals. The rules are simple: all lots must be cupped at 84 points or above by SCA standards. The five best 84+ coffees for each category are the champions. The winners receive premium prices for these coffees, which the BSCA then sells to associated coffee shops, roasteries and exporters. Fazenda Rainha, São Sebastião da Gama, Média Mogiana Region, São Paulo. Fazenda Sertãozinho, Botelhos, South of Minas, Minas Gerais. Café Filomêna Estefânia, Patrocínio, Cerrado Mineiro Region, Minas Gerais. Sítio da Torre, Carmo de Minas, Mantiqueira de Minas Region, Minas Gerais. Fazenda Barinas, Araxá, Cerrado Mineiro Region, Minas Gerais. Monte Alegre Coffees, Conceição dos Ouros, South of Minas, Minas Gerais. Fazenda Monte Verde, Ouro Fino, Mantiqueira de Minas Region, Minas Gerais. Launched for the first time in 2018 and promoted by 3Corações in partnership with the BSCA, this competition awards female producers of exceptional micro lots. Lots must range between three to ten 60-kilo bags in size. The contest is part of Projeto Florada, which translates to project in bloom. 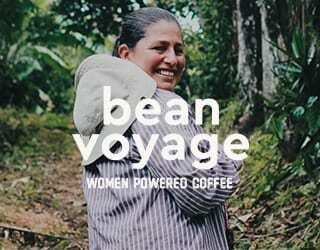 This is an initiative designed to increase the visibility of women in coffee production and also support female producers through training and meetings. The contest is the second to last stage: get their coffees awarded and sold for premium prices. Tainã Bittencourt Peixoto of Chácara Vista Alegre, Piatã, Bahia, Chapada Diamantina. Inácia de Fátima Silva Juliano of Sítio Batista, Pedralva, Minas Gerais, Mantiqueira de Minas. Luciene Aparecida Santos Mota of Alecrim Dourado, Pedralva, Minas Gerais, Mantiqueira de Minas. Creuza Silva Santana of Fazenda Gerais, Piatã, Bahia, Chapada Diamantina. Patrícia Rigno de Oliveira Rosa of Fazenda Ouro Verde, Piatã, Bahia, Chapada Diamantina. Deuseni de Oliveira of Sítio Cafundó, Piatã, Bahia, Chapada Diamantina. Education is one of the key themes at ICW, the team at Café Editora tells me. And this year, it hosted two sustainability seminars: the Global Coffee Sustainability Conference and the Sustainable Coffee Forum. Mariana Proença is the Director of Content at Café Editora and one of the event organizers. She tells me, “The Global Coffee Sustainability Conference (GCSC) is conducted by the Global Coffee Platform and, for the first time, it took place in a producing country. It was a public success, with 350 attendees from 16 countries. 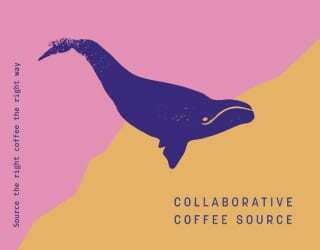 As for the Sustainable Coffee Forum, she says, “The forum, conducted November 9th in the Great Auditorium of the International Coffee Week, has this objective: to bring together top professionals in the sector to discuss the actions already taken in coffee production and the next steps for the sustainable development for future generations. SCA Certified Courses: For those who wanted the official SCA certification for basic sensory skills, barista skills, and brewing, six authorized trainers conducted these courses at the event. 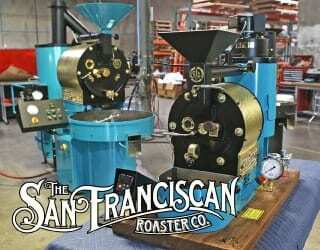 Roasting Courses: Sponsored and organized by Atilla Coffee Roasters, there were seven different courses for roasters. 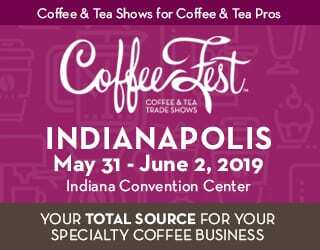 Topics included the challenges of being a micro roaster, the science behind coffee roasting, roasting Robusta vs roasting Arabica, roast flavors, global roasting trends, and more. Fermentation Techniques: Edwin Enrique Noreña Garcia has been a coffee producer in Colombia for more than 15 years, as well as an agroindustrial engineer. 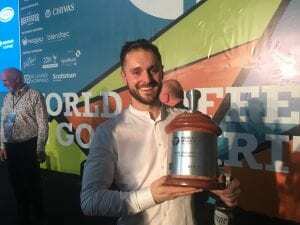 He led a course spanning everything from harvesting to storage, with a focus throughout on the different types of coffee fermentation and their results in the cup. 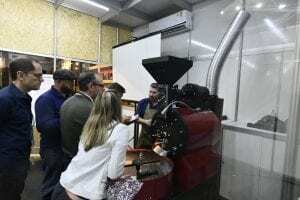 Workshop: Managing a Coffee Shop: Isabela Raposeiras is the owner, roaster, and barista behind the Coffee Lab, a café-roastery in São Paulo. She addressed topics related to the challenges of opening and running a coffee shop, such as reasons to open a coffee shop, how to select your suppliers, and “cents that are worth millions”. The product that stood out the most to me was the CoffeeClass: a prototype of a machine that can evaluate coffee quality by optic analysis of the grounds. 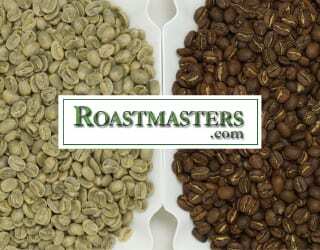 Yes, you read that right: it can identify coffee quality from ground roasted coffee: no hot water, no Q graders needed. It’s just a matter of a microscope and Artificial Intelligence. 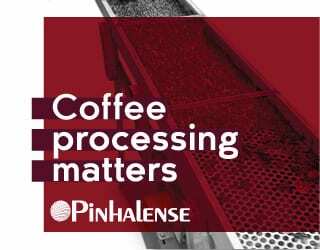 The aim is to improve efficiency when analysing coffee quality. 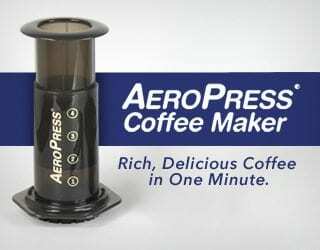 The CoffeeClass works by interpreting patterns in amplified images of roasted and ground coffee. 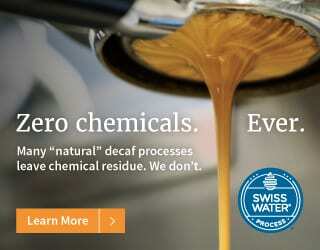 It then compares them to a data set of patterns that has been correlated with coffee quality. 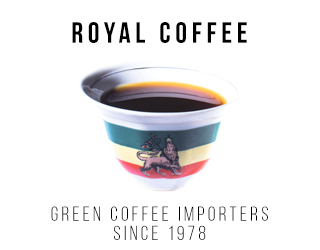 To achieve this, the machine applies reflectance and fluorescence, which use differentiated light sources under the coffee sample to identify those compounds linked to the beverage’s quality. 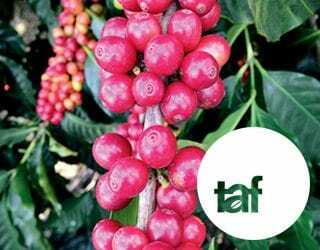 During the event, the state-owned Brazilian Agricultural Research Corporation (EMBRAPA) and Brazilian Coffee Industry Association (ABIC) signed a contract to join forces and make this prototype available in the market in the next years. 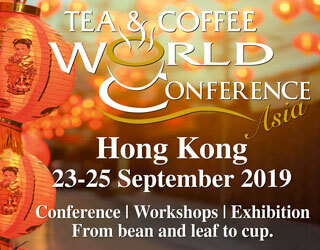 ICW brought coffee professionals from around the world together to discuss some of the industry’s most pressing sustainability issues, celebrate quality coffee lots from a range of producers, discover the latest technology, and more. Please note: This article has been sponsored by International Coffee Week.